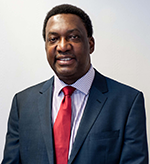 Led by our experienced Medical Director Dr Albert Benjamin and an experienced nursing team, we are committed to offering a safe, excellent, and high quality standards of community-based surgical healthcare to all our patients. We provide primary care surgical procedures for NHS and private patients in fully equipped, comfortable and convenient locations. Please call us on 01922 504 991 to discuss your requirements. We look forward to hearing from you. We offer primary care surgical procedures for NHS and private patients in modern, full equipped, comfortable and convenient locations. We received Care Quality Commission (CQC) registration in 2013 and Any Qualified Provider (AQP) accreditation in 2014. Dr Benjamin works as a GP with Special Interest (GPwSI) in primary and community- based surgical procedures. He has been providing these services since 1997 and receives excellent patient feedback and testimonials. Dr Benjamin completed undergraduate training at Cambridge University and Charing Cross Hospital Medical School in the University of London….